Furniture just like the various accent pieces in the home holds the potential to make the dwelling space functionally unique and welcoming. Reflecting and extending your personal sense of style, the furniture can actually help to shape and frame your home. If you are planning to remodel your space with an unconventional yet warm touch, a contemporary furniture is definitely the best fit. Along with providing comfort and quality, the contemporary furniture infuses tough and sturdy with sleek and sharp. The contemporary manufacturing techniques are used to create a variety of styles of furniture, from romantic to bold and everything in between. 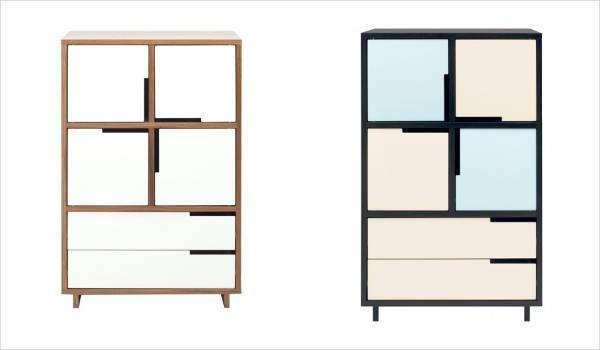 If you are enthusiastic for an exciting inclusion, we have today compiled a list of 20 contemporary bedroom and living room furniture pieces that will definitely add the missing zing to your home. 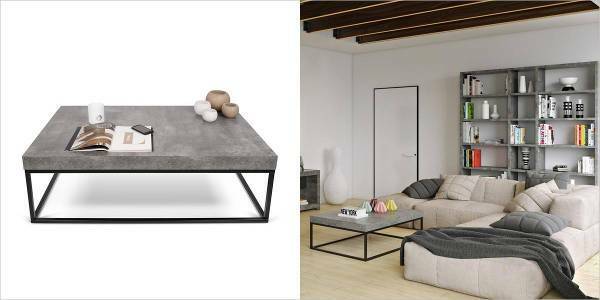 This simple cocktail or coffee table features melamine cement finish. The faux concrete top is complemented with matte black base. The panels made out of honeycomb help to reduce the weight of the table and extend its durability and strength. 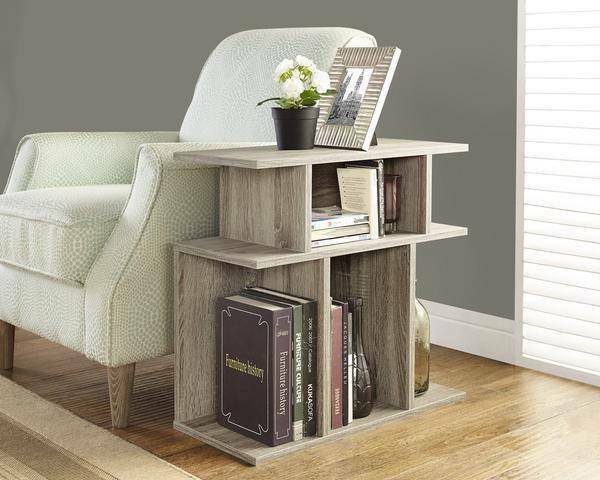 Enhance your living room with this sharply crafted dark taupe reclaimed wood side table. With clean lines and open concept display shelves, this modern unit is ideal for displaying your favorite items in the living room. This classic style sofa will definitely bring instant joy to your living space. Crafted with careful consideration for comfort and fashion, the white leather sofa is a subtle choice for classy and contemporary. 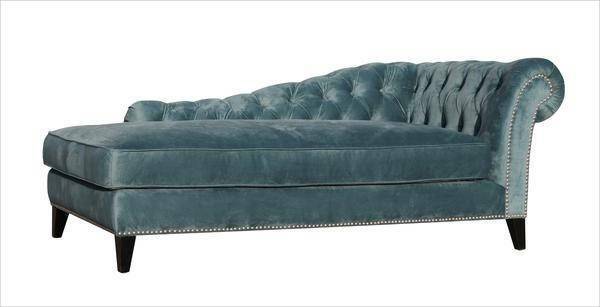 The Bibiano Chaise is detailed beautifully with hand-applied silver nail heads, deep diamond tufting and a rich blue velvet upholstery. The chaise is an efficient decorative living room furniture to complement with a contemporary setup. 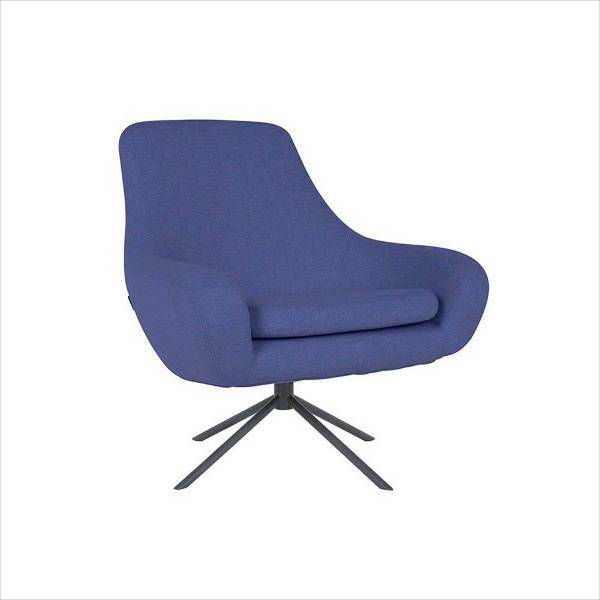 This swivel armchair is designed by Danish designer Susan Gronlund. 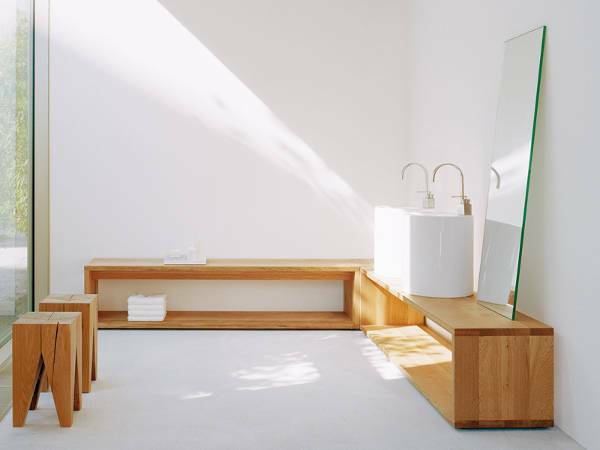 The minimalist appearance takes its inspiration from beautiful Scandinavian design. The soft seat is surrounded by comfortable wide arms and arching backrest. Along with promoting a relaxed sitting position, the chair comes in two striking color options which can lend a unique presence to any room. 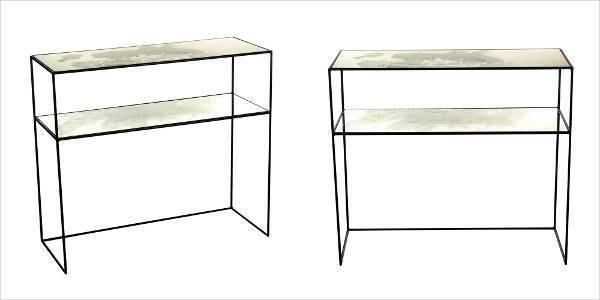 This glass console table from Amara features a raw metal frame that is beautifully adorned and supported with a mirrored mercury effect. Based on the individual personality of expert craftsmen, the handcrafted design is unique to every table. This is one multipurpose addition that will look exceptional in any room. This contemporary shelving system, SHILF combines the steel components without the need of any tools or hardware. 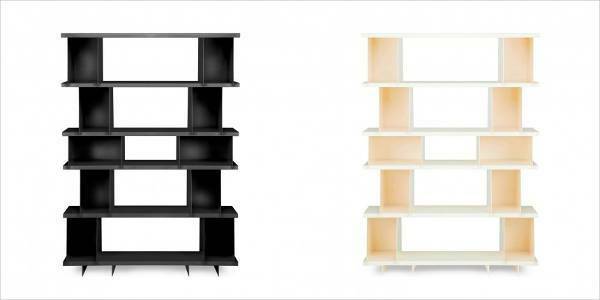 The shelving version is available in white, ivory or matte black powder-coat. The version 4.0 will give you maximum storage capacity for all the books, music albums and all the other minor to major display pieces. 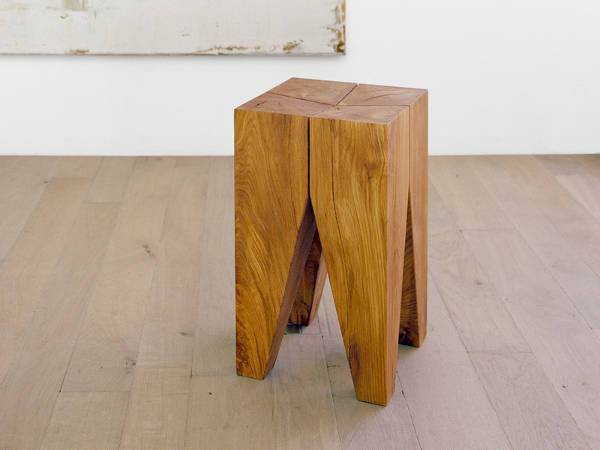 A design classic, the Backenzahn stool is made from solid oak. 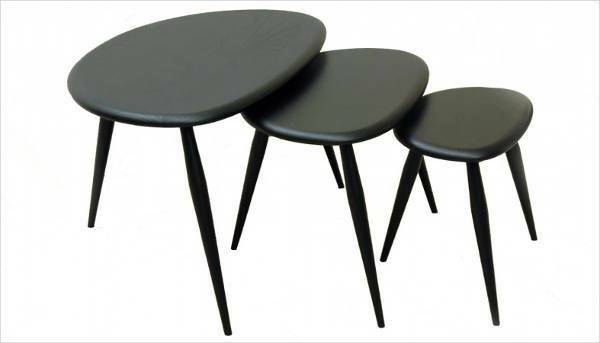 The stool features compact four legs and highlights a slightly concave seat for the sitter to enjoy utmost comfort. 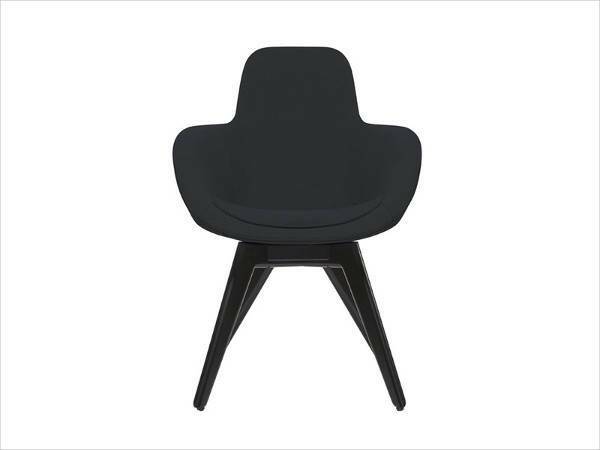 This high back chair by Tom Dixon is made from hard foam shell. The legs are painted wood, hence creating a stable support. The black fabric upholstery makes the chair a standard choice for a contemporary home. 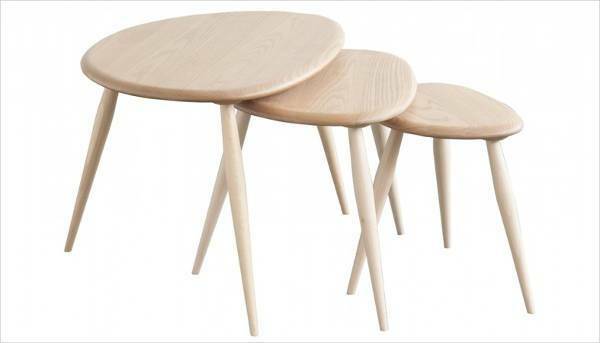 The original nest of tables designed by Ercol founder Lucian Ercolani offers an interesting addition to the living room. The range of bold and colorful options will definitely ensure that your home looks equally energetic and spirited. 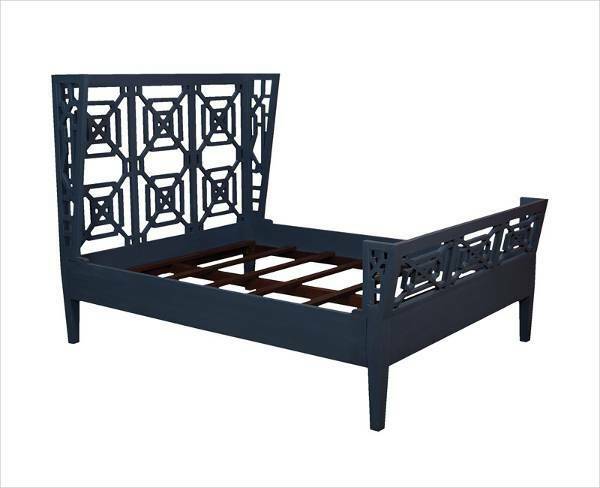 This beautifully carved manor blue slate mahogany queen bed features intricate detail which will easily complement any style of decor and colour palette. Lending a minimalist vibe, the bed boasts a sturdy built and delicate appearance. This unique headboard features an artisan stain finish with a base support. 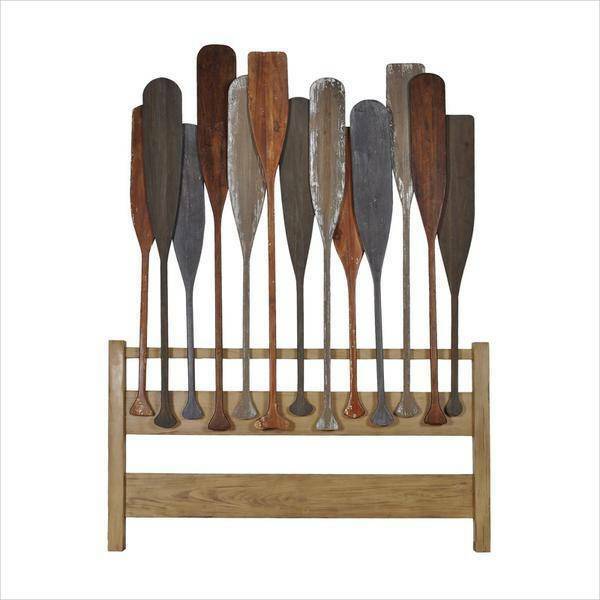 The headboard is beautifully decorated with distressed and stained decorative boat oars. Unconventional and edgy, the headboard is one of the best ways to give your bedroom that extra edge. 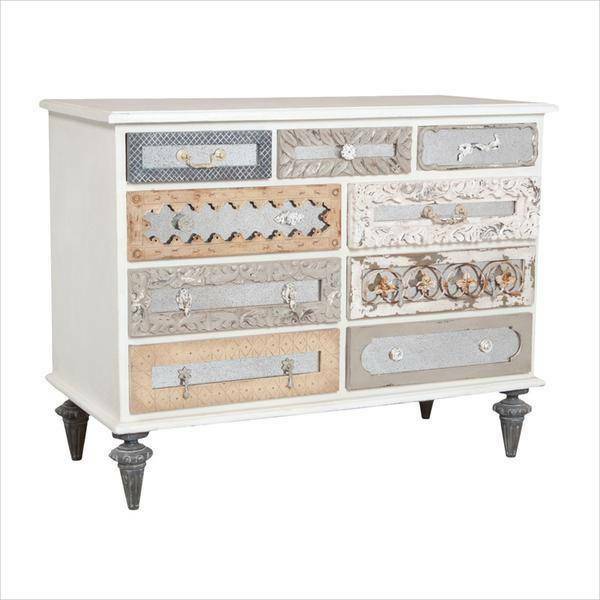 The mirror front dresser carries a garden lattice white finish which is unique to see at the very first glance. The antique mirror insets make the look of the dresser a classic and contemporary choice for the bedroom. One of the most useful pieces for a bedroom, this San Diego night stand in walnut rubberwood combines functionality with style. The solid rubberwood and polished finish make it a classic furniture piece for the bedroom. 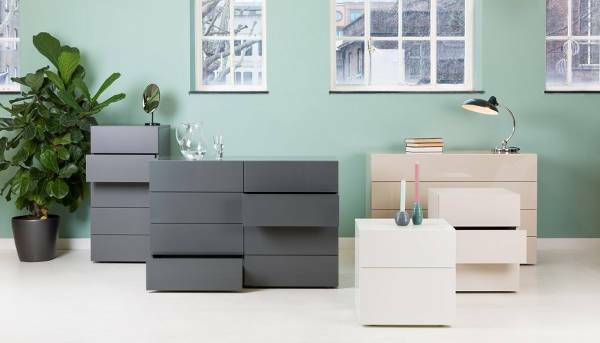 Neat, contemporary and functional, the 8 drawers wide dresser can seamlessly blend with any style of decor and also lend a luxurious vibe with the high gloss finish. You can opt for the shade and finish that suits well with your decor. Lightweight and very elegant, the Tomoko Azumi uses the natural flexibility of beech wood to create a stunning contemporary silhouette. 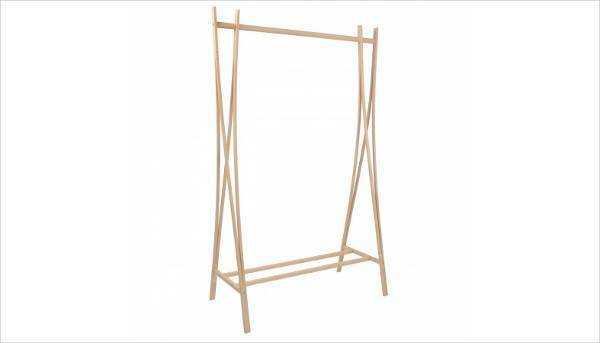 Although delicate in its appearance, the angular framed clothes rail also lends a durable and versatile quality. 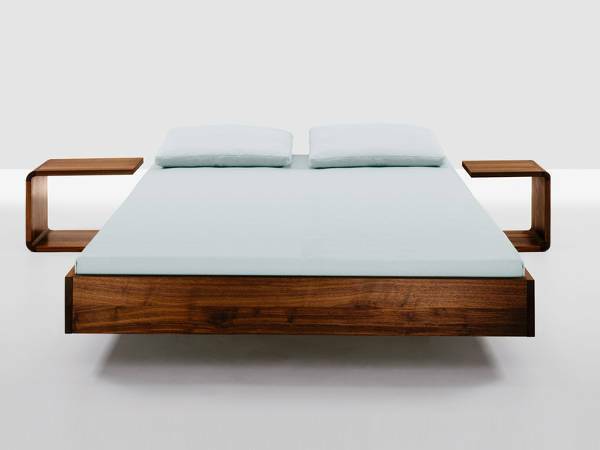 The zeitraum simple bed is an elegant product that appears to float in the mid air. With a functional and basic design, the bed is hidden underneath the frame creating both the illusion of a floating frame and a streamlined finish. The slats come with adjustable depths, making you customise the bed with different mattresses. Customise the colour of the standard and regular block shaped cupboards by choosing from white, grey, blue, red, ivory, slate and robin’s egg blue colour and tailor make your look with effortless ease. A truly unique nightstand, each drawer section rotates 360 degrees and lets you have an endless variety of arrangements from straight to angled. The nightstand offers wheels that carry the required locking mechanism making it convenient for the user. 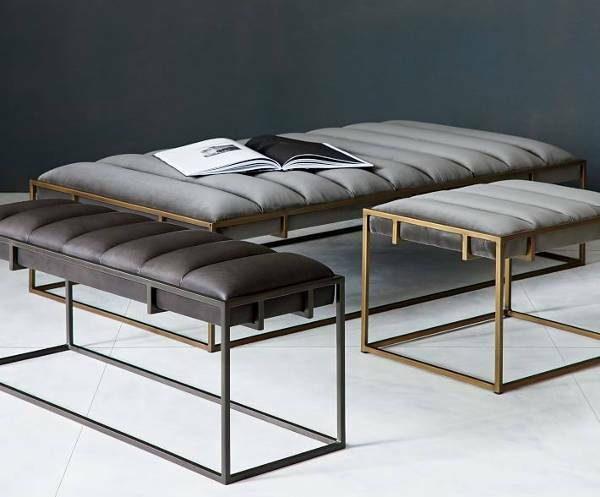 This upholstered Ottoman comes with hand-welded iron frame and hands upholstered velvet seat. The elegantly proportioned piece also works equally well as a coffee table when used with a tray on top. You might think them to be the same, but the truth is modern and contemporary exhibit a sharp contrast. Modern in the interior design sphere refers to mid-century modern, which can be recognised by the clean and simple interiors. Modern interior pieces are prominently made from moulded plywood, plastic, metal, wood, leather, teak and linen. Furniture is generally open and raised from the floor for an airy presence. Contemporary can be explained as existing, or belonging to the same time. Contemporary design simply translates the current, trending and popular. Contemporary can be eclectic in its portrayal as it borrows pieces and styles from all different areas. Give your home the much needed contemporary upgrade with these unconventional and edgy furniture design ideas.